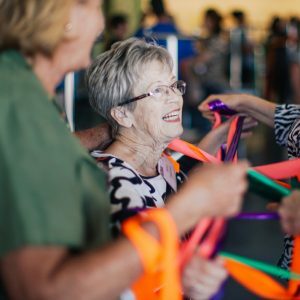 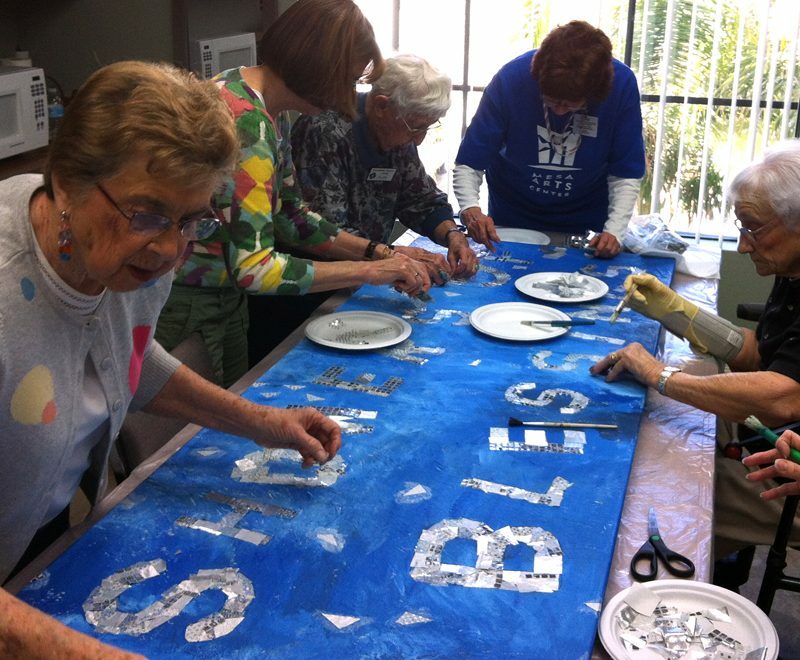 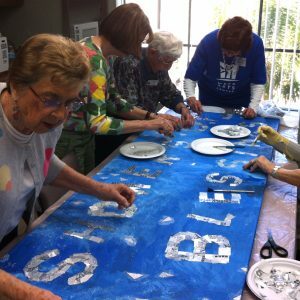 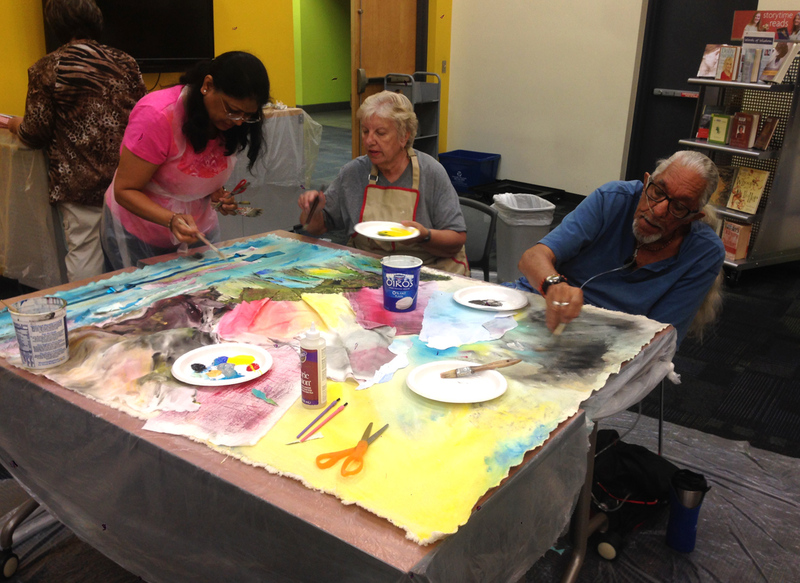 Participating older adults begin this project by developing a phrase or sentence that has motivated or supported them in their own lives. 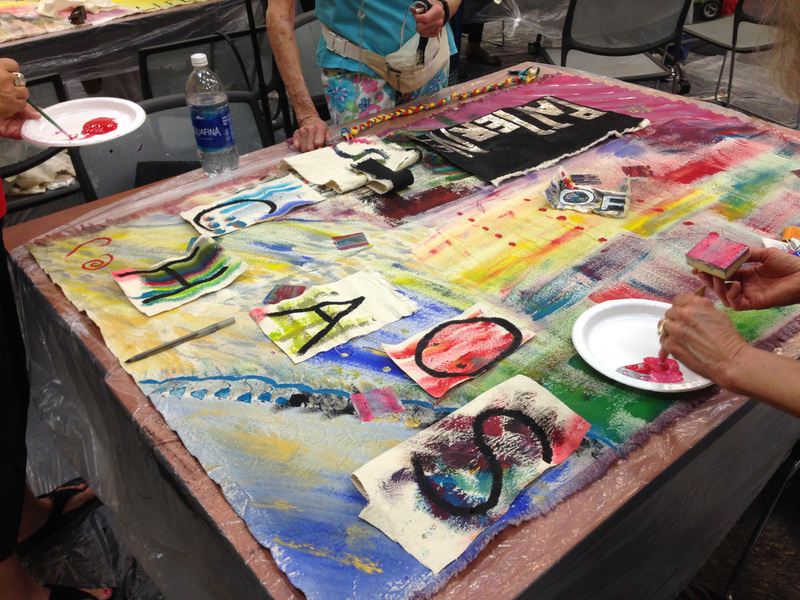 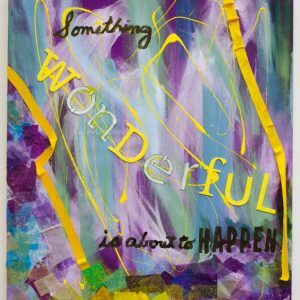 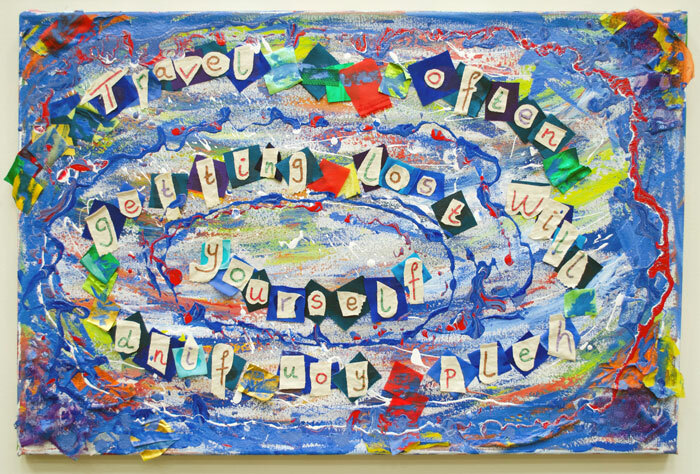 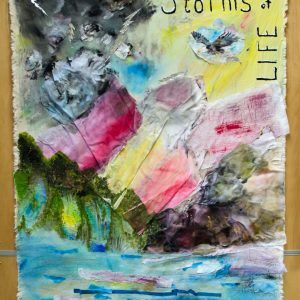 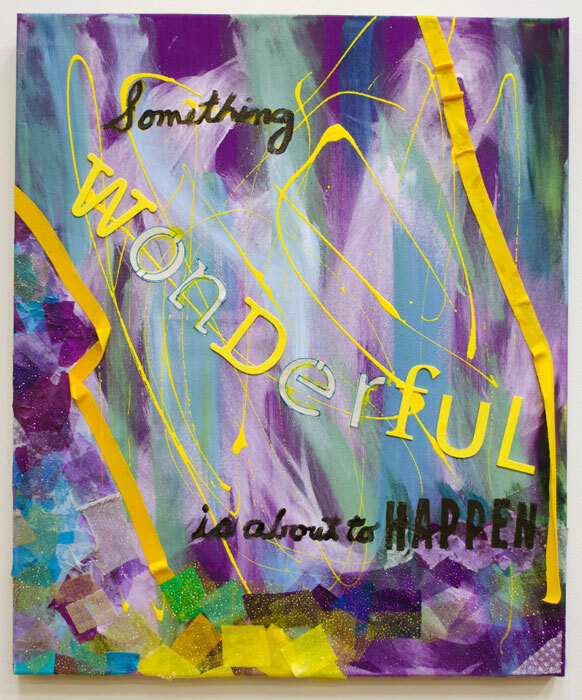 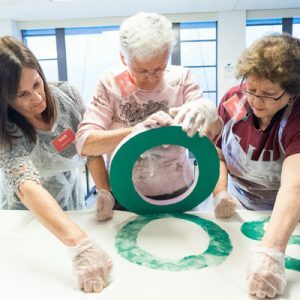 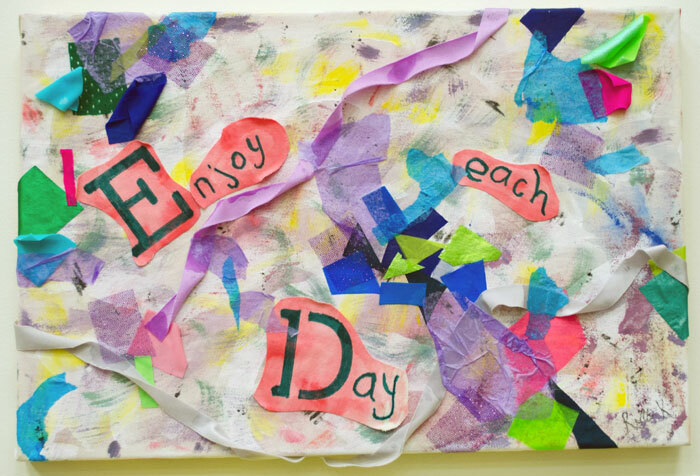 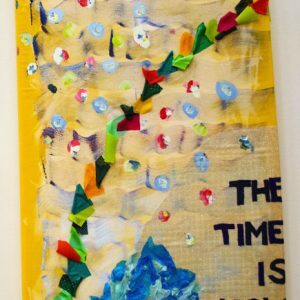 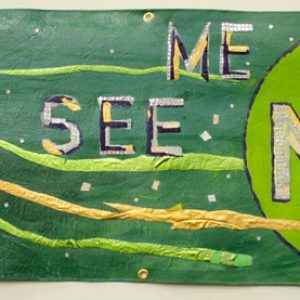 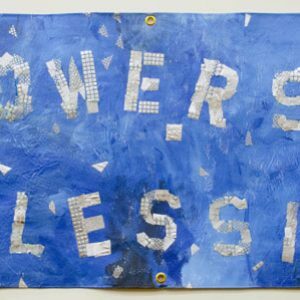 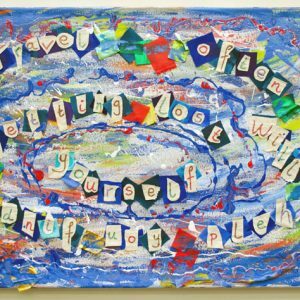 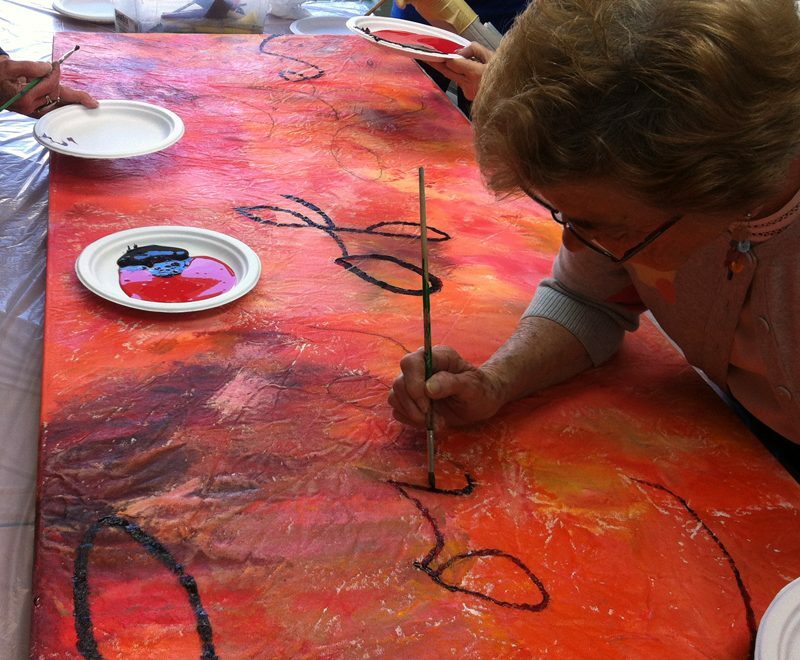 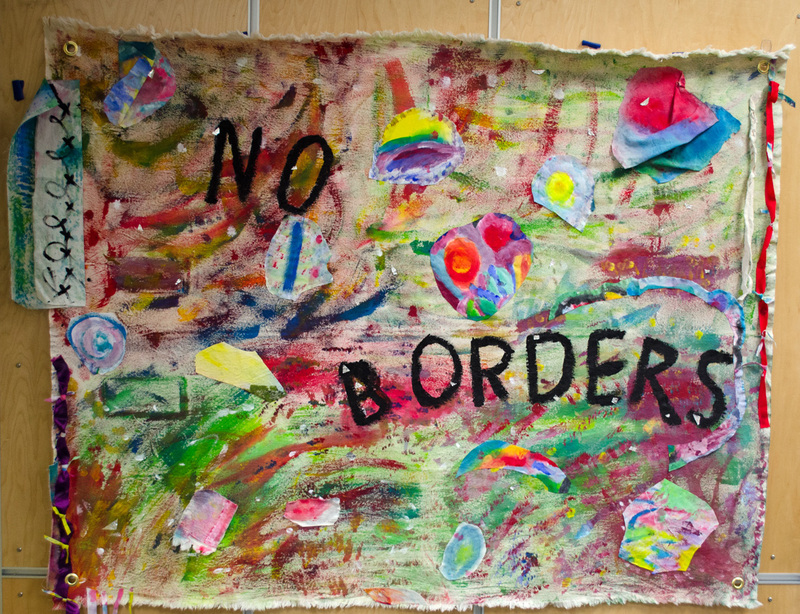 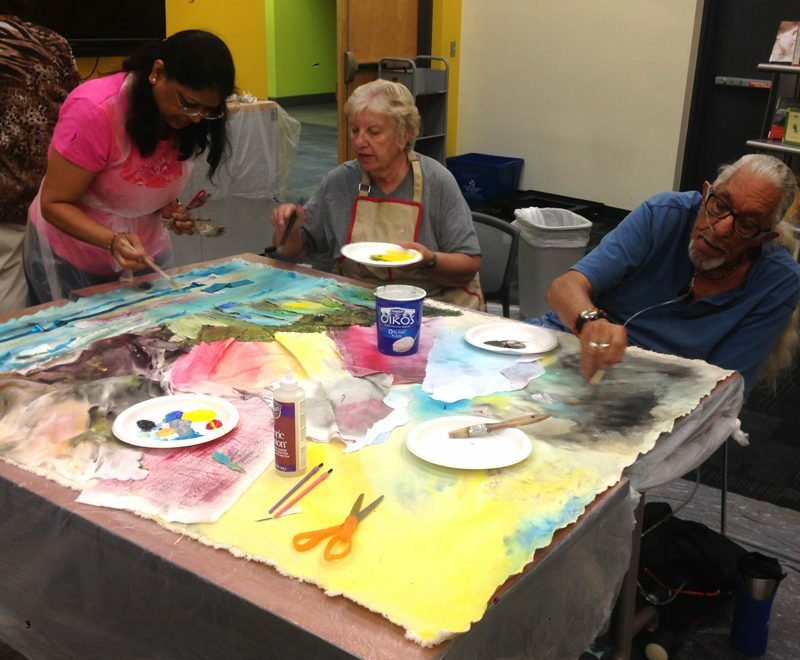 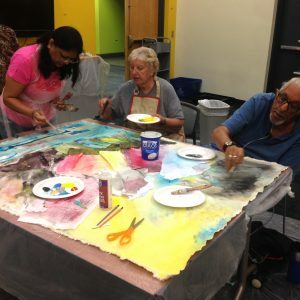 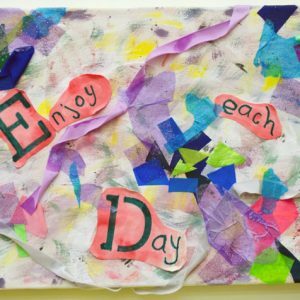 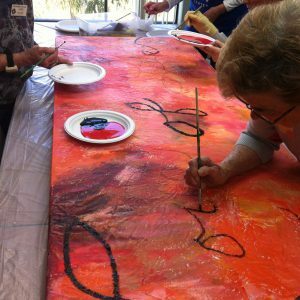 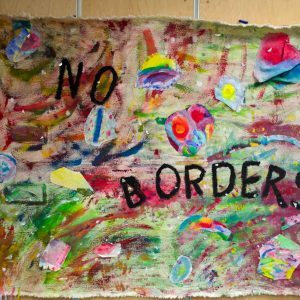 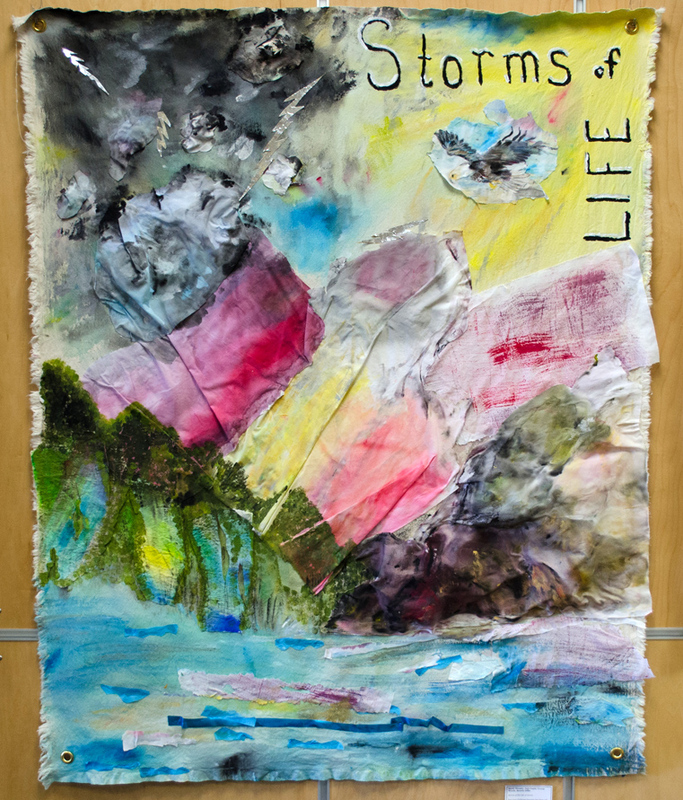 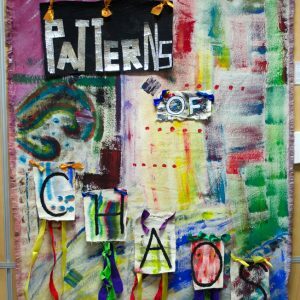 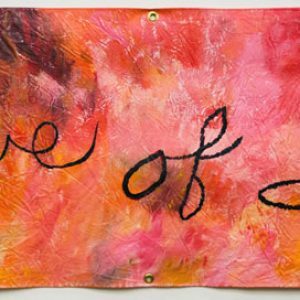 The content of the words is intended in turn to support participants creatively, while using the visual language of text as a stepping off point for individual and collaborative artworks. 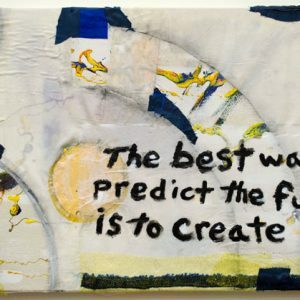 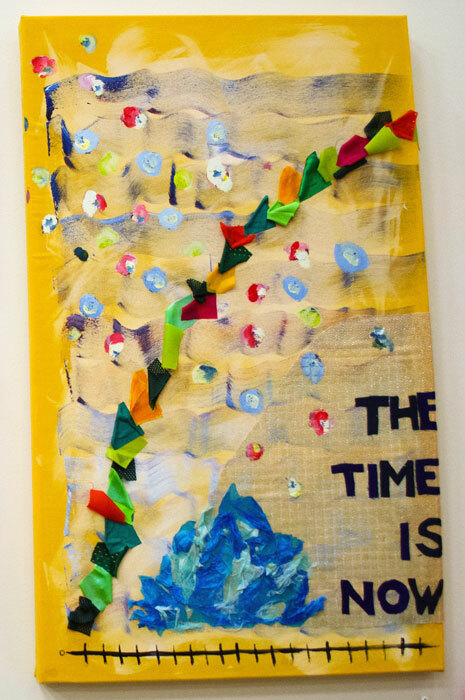 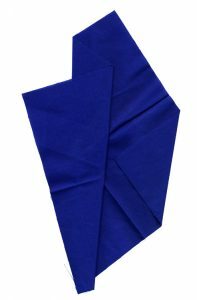 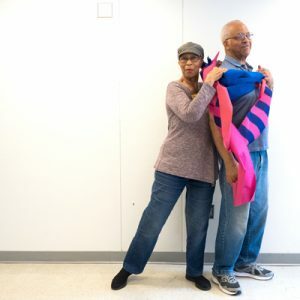 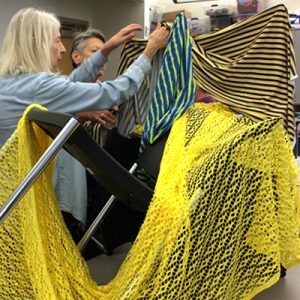 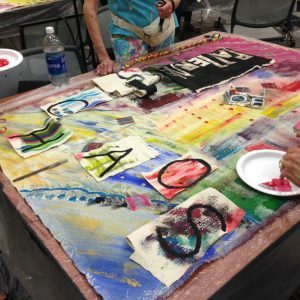 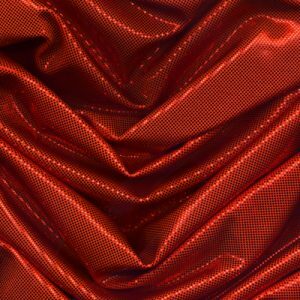 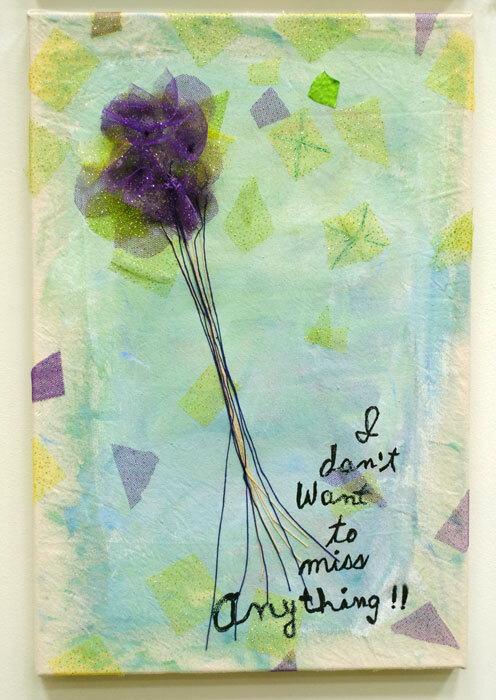 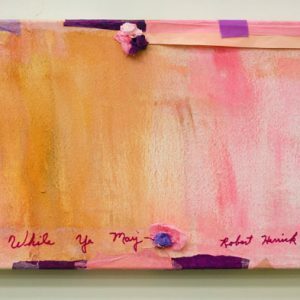 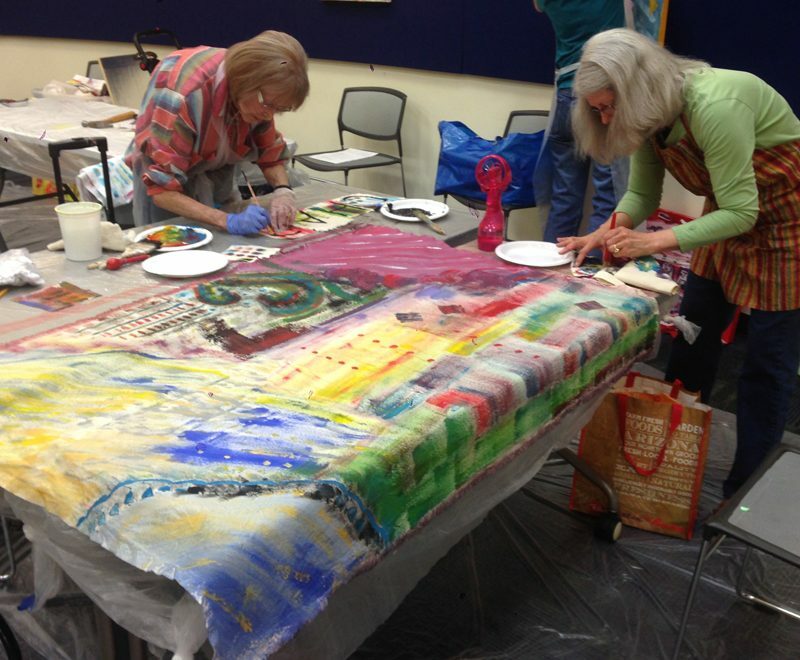 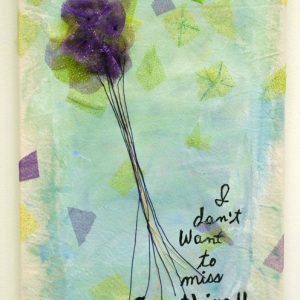 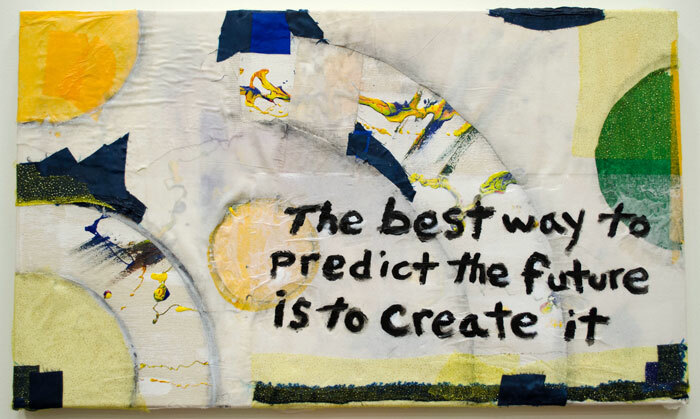 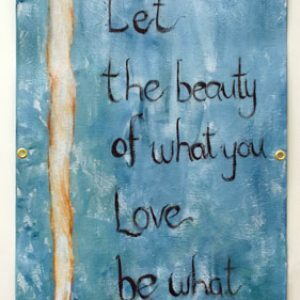 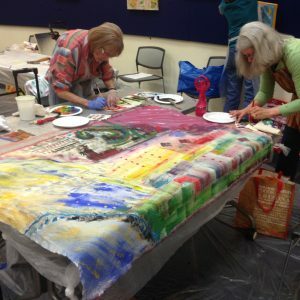 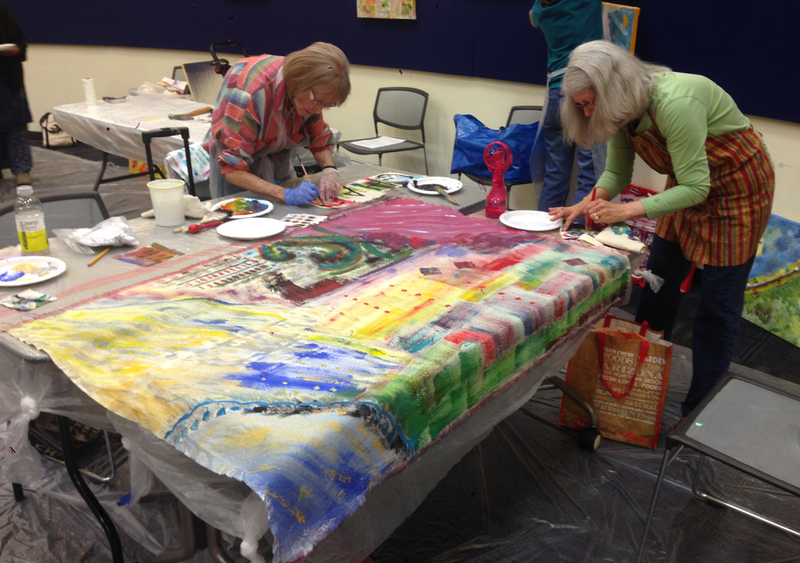 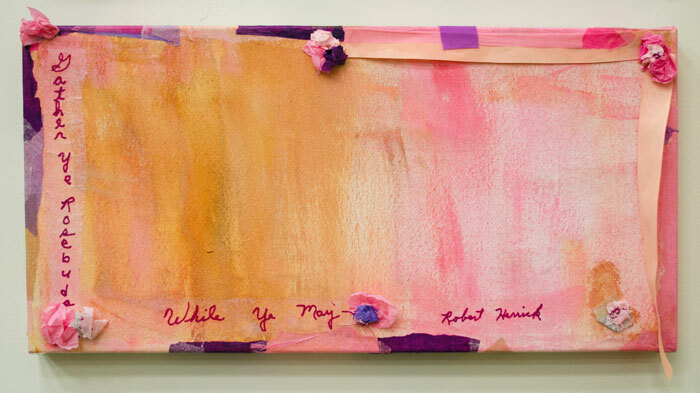 Individual mixed media works begin with fabric on a stretcher frame, and proceed with applying the selected affirmational phrase using a process-based layering of materials. 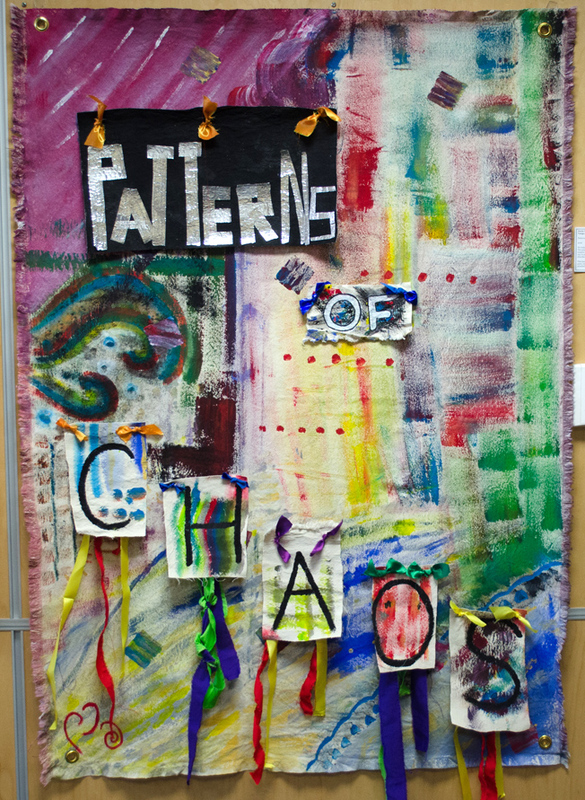 Following completion of individual artworks, groups begin their collaborative banners by selecting one phrase to be enlarged. 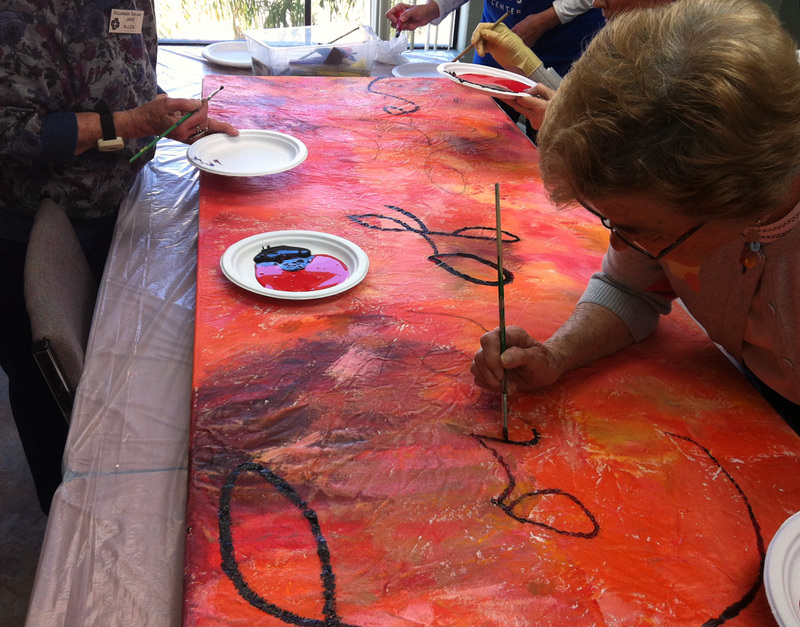 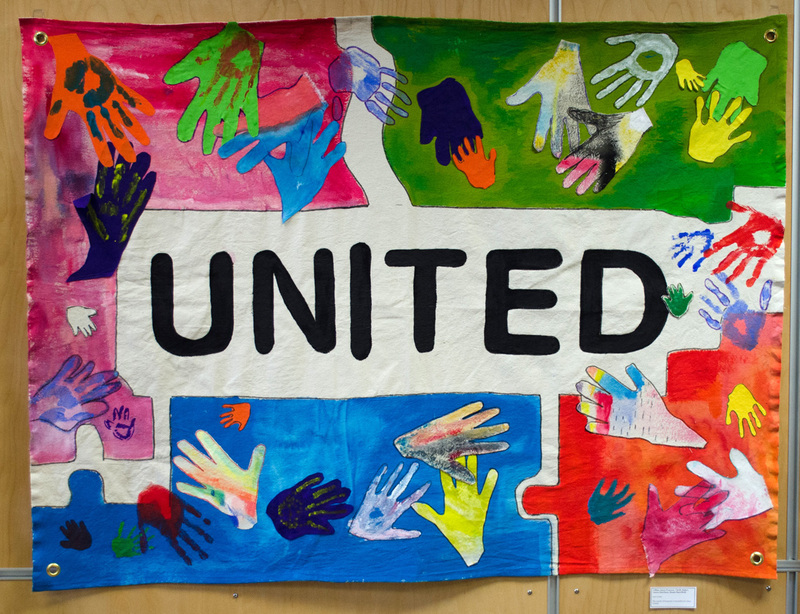 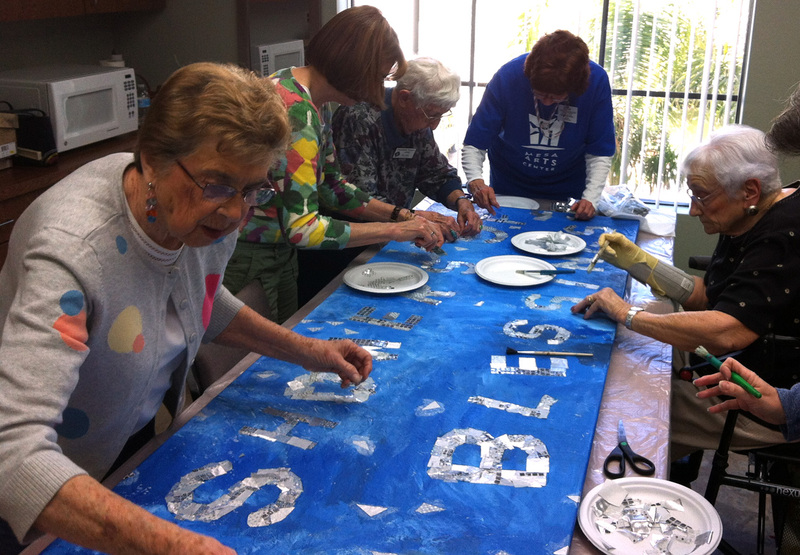 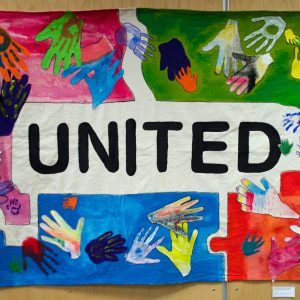 Building on individuals’ experience in the first phase, collaborative banners aim to give collective voice to group members’ individual histories and shared creative experience.